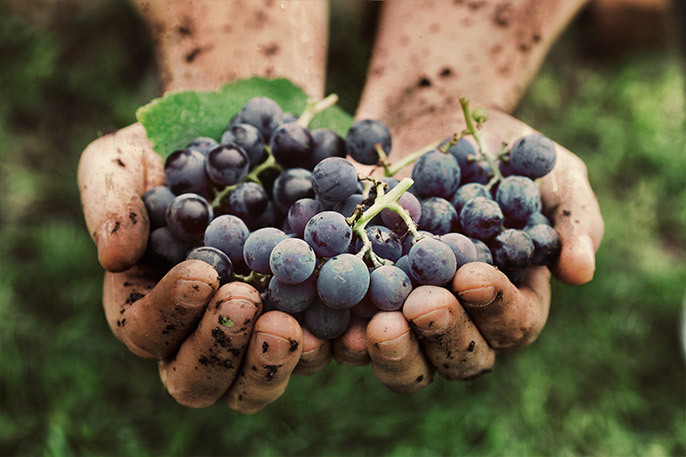 Prerequisite is compliance with the guidelines for the management of vineyards, as well as the vinification of the wines according to the organic wine guidelines according to the EU Organic Regulation and the resulting certification as an organic operation by one of the state-approved bio or. Inspection bodies, If applicable, membership in one of the many organic / organic associations, such as for example, can be made on a voluntary basis Bioland. DEMETER or ECOVIN their mostly stricter specifications added. However, membership in one of these associations is not mandatory. There are also checks in accordance with the guidelines of the association, but these are generally taken over by the organic / organic inspection bodies. However, a single association certification is not possible without the mandatory state EU eco-certification. The organic wines are allowed Biosiegel European Union (EU Biologo). In addition, with a (but not necessarily required) membership also a association logo of the numerous eco / organic associations can be used. An umbrella organization for organic associations in Austria is Bio Austria, the counterpart for the eco-federations in Germany BÖLW (Federation of organic food industry), where the organic associations of these two countries are listed. Finally, it should be noted that organic wine does not automatically mean better quality, as there are also a number of other conditions necessary. This page was last modified at 23 June 2017 at 11:45.